Software engineer Jack Cutler talks about what they’re doing over at CWV, CryptoWorld.VIP. CWV created their own blockchain and their own cryptocurrency called the CWV token that’s trading live on three platforms – BBOX, IFCoin, and Hotbex. 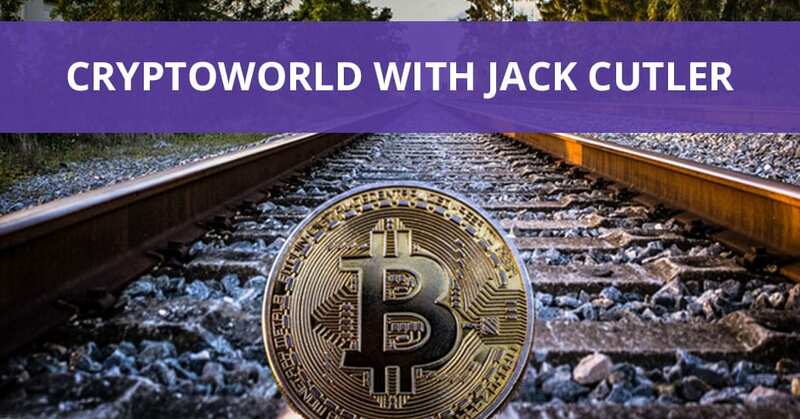 Jack also talks about the main motivation for CWV and gives a sneak preview on a side game which their developers are making called the CryptoWorld Game. We’re getting all around the chain right now and I am excited to talk to Jack Cutler, a software engineer at CWV. What does it stand for? Where are you located and what are you doing? Our flag is posted in Singapore, Asia. Our officers themselves all come from Shenzhen, China. We’ve flown all the way over the Pacific to be here in Las Vegas. We’re so glad you’re here. I hear you doing some cool things to get gamers and this is something that I’m passionate about. I write about it in my column for Inc. all the time. Those that are software engineering the games, those that are designing the games and all of those things, it’s getting them to be able to monetize, getting the money to go back to them or getting them to go to the players. What we’re trying to do at CWV is we’ve created our own blockchain and we’ve created our own cryptocurrency. It’s the CWV token that’s trading live on three platforms, BBOX, IFCoin, and Hotbex. Go check that out. We’ve also got a side game which our developers are making. It’s called the Cryptoworld game, which is a game that we play on our blockchain. The main motivation for CWV is we want to get game developers to develop games on the blockchain and monetizing it. That’s 100% what we’re about. We’re looking to provide more incentives for players to stop playing these games on the blockchain. More incentive for game developers to develop their game on the blockchain. For example, one of those incentives might be rewarding players and developers with cryptocurrency. This is such a problem, especially when you’re at an emerging technology or a disruptive technology and you’re coming into a marketplace. How do you get enough volume of great games? You’ve got a platform. How do you get enough volumes of great games that are well designed, not stuff that was just done in the garage or the side onside job? You want the well-designed stuff because it attracts better users. It’s a trade-off because you don’t have all the funds when you startup to be able to fund all those developers and all those designers and do it in house. How do you attract them to come to you? You have solved that by having this incentive system. We’ve been quite lucky. We’re a startup which is well funded. As I mentioned, we have those incentives. We come to events like this and we get our name out. This is the first time we’ve come to America so it’s very exciting for us all at CWV. Welcome to America. Have you learned some things while you’re here? For sure. It’s hard not to. We’re at the chainXchange conference. There’s a lot of different people. I gave a speech on one of the stages about why we want developers to be developing on the blockchain. After that speech, I had a number of people come up to me and asked me questions. They’re already asking for my business card and all that because that’s what we want to do. We want to be connecting with these game developers and help them out at the best that we can. 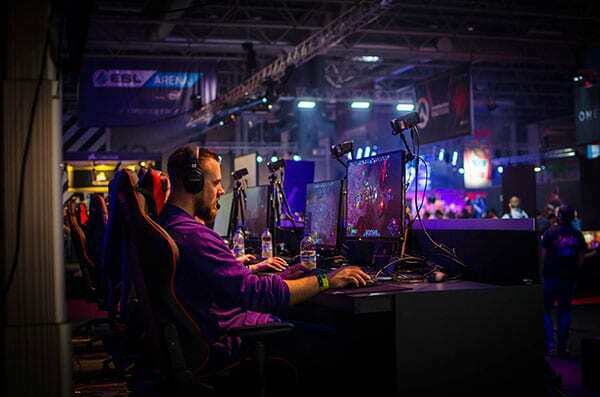 If we’re into what they’re putting out there, we’re happy to fund them and help them get vid game onto the blockchain. CryptoWorld: We want to be connecting with these game developers and help them out at the best that we can. I was lucky enough to interview Steve Wozniak. It’s very cool and intimidating to me because I was like, “The ultimate maker, the ultimate engineer, the ultimate designer.” One of the things he said is what he wants to see blockchain do is to inspire makers. Inspire more makers, inspire a generation of makers. That’s exactly what you’re trying to do here because it’s not just about inspiring them. We’ve got to keep funding them to keep making because they want to keep doing it. They got to be, “Pay their bills and buy food.” We want to make that happen. I agree with that point as well. The theme that I’ve been hearing a lot at this conference is that blockchain is the fourth industrial revolution. It’s a complete game changer. One of the points I’ve been using to push game developers to join the blockchain as a game player myself. You play a lot of video games, you purchase a lot of downloadable content, but as soon as you switch from console to PC, you’ve lost all of those purchases you’ve made. You come to the blockchain, you get to keep all those purchases. You’re just looking at the next generation of these Millennials coming up. A lot of these millennials now play games not just as a casual hobby anymore. They’re playing games as a business even. There’s a lot of streaming platforms out there. Some are educational. I’ve been watching my daughters do that. It’s coming on all the way and I agree with you. Having the universality of the platform makes a huge difference. Thank you so much, Jack, for coming on and talking about that. All the information on how to find them will be in the blog post. Thanks again for joining me.